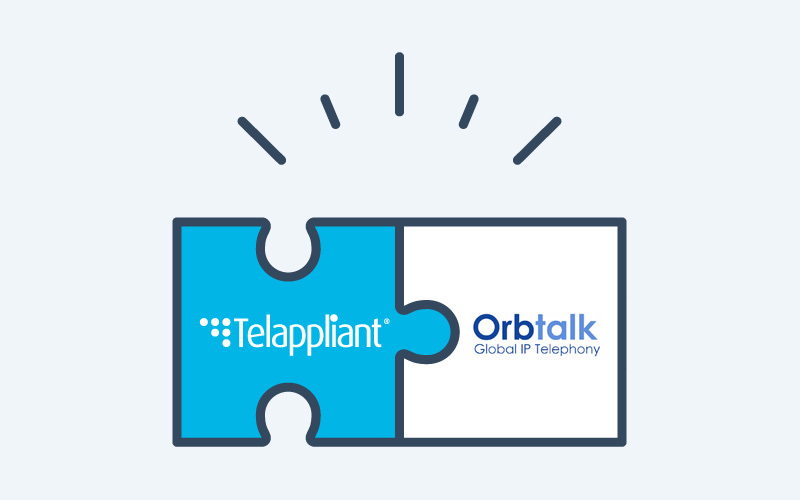 Telappliant has acquired Orbtalk, a UK-based hosted telephony provider. Increasing the services offered to customers of both companies. Telappliant, a cloud business communications provider, with 15 years’ experience in delivering solutions to UK SMEs, announced today that it has acquired Orbtalk, a UK-based hosted telephony provider. “The purchase of Orbtalk will enable us to build on the existing southern England business and expand upon the talented skill set and unique intellectual property that Orbtalk has built up over the years”, commented Tan Aksoy, Director of M&A at Telappliant. Telappliant is keen to continue building on Orbtalk’s successes as a leader in global IP telephony solutions and unique market propositions. Its Userve™ customer portal provides a fully end-to-end customer journey, enabling business prospects to progress from an online enquiry to a live hosted telephony service within a matter of minutes. In terms of its telephony network, Orbtalk has multiple points of global presence, enabling its international clients to benefit from features such as local calling and lower in-country call rates. Founded in May 2005, Orbtalk, a network owner-operator, has been delivering VoIP solutions to businesses for over twelve years. With more than 2,000 customers, encompassing every type of business from start-ups and freelancers, to some of the largest blue-chip corporates, we have achieved steady and consistent growth as the market has developed. Further information available on www.orbtalk.com. Telappliant is an award-winning London-based cloud services provider with over 15 years’ experience, specialising in providing Internet telephony, high-speed connectivity and IT services to the SME market. Over 3,000 UK SME businesses use Telappliant services, ranging from small business to blue-chip companies. Telappliant is also one of the founding members of the Internet Telephony Services Providers Association. For further information about this topic, please call 020 7043 3490 or email pr@telappliant.com.